While the great bulk of planetary accretion occurs in the first few hundred million years after the birth of a given system, the process never really comes to an end. Most of the objects that make up the tail of this accretion – grains of dust, lumps of ice, and pieces of rock – smash into our atmosphere and ablate harmlessly many kilometres above the ground, visible only as shooting stars. 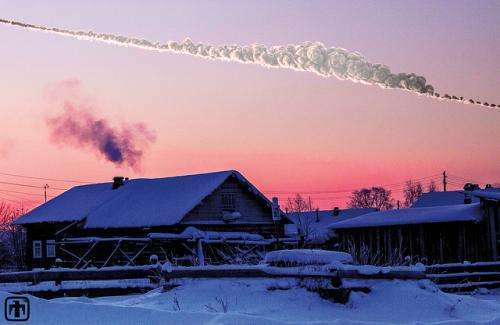 Larger impacts do, however, continue to occur – as illustrated on February 15, 2013, in the Russian city of Chelyabinsk. On that day, with no warning, a small near-Earth asteroid detonated in the atmosphere, and outshone the noon-day sun. Though the object itself was relatively small, around 20m in diameter, it exploded with sufficient force to shatter windows many kilometres away, damaging more than 7,000 buildings. Amazingly, nobody was killed – but the impact served as a stark reminder of the dangers posed by rocks from space. The longer the timescale we consider, the larger the biggest collision the Earth might experience. A stand-out example is the impact, around 65 million years ago, thought to have contributed to the extinction of the dinosaurs. Fortunately for us here on Earth, the rate at which such catastrophic impacts occur is relatively low, but this might not be the case in other planetary systems. 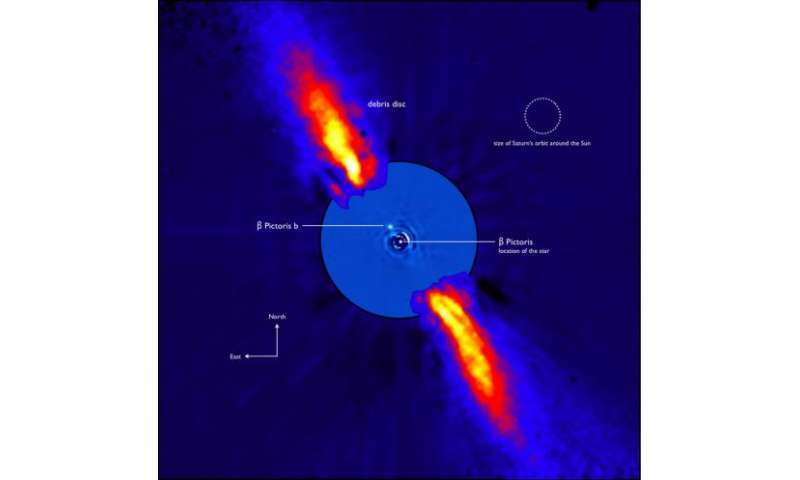 Thanks to observations carried out at infrared wavelengths, we are now in a position to start categorising the small object populations of other planetary systems. As we do, we are finding that many systems contain far more debris, left over from their formation, than does our own. This gives us an additional tool by which we can assess potentially habitable planets. It should be possible to estimate the impact regimes that they might experience, based on these kind of observations. If we find systems with too much debris, then it is reasonable to assume that impacts such as that which helped end the dinosaurs would occur far more frequently there than on Earth. In other words, no matter how ideal the planet in question might otherwise seem, it would not be considered a perfect target for the search for life. Jupiter – friend or foe? Tied to the question of impact rates is another quirky astronomical myth: the idea of Jupiter the protector. Without Jupiter, it has often been argued, the Earth itself would have been so pummelled by asteroids and comets that life would have been unable to develop and thrive on our planet. Following this story, it might seem reasonable to assume that the best target for the search for life would be found in a planetary system that featured the presence of giant planets, orbiting further from their host stars, in order to protect any nascent ecosystems from punitive pummelling. But this story is far from clear cut. While Jupiter certainly can take things that threaten the Earth and fling them to orbits that bring them nowhere near our planet, it can also take things that would otherwise pose no threat to the Earth and throw them towards us. In fact, research led by one of us (Jonti) has shown that, rather than solely protecting the Earth, Jupiter is possibly more of a threat. 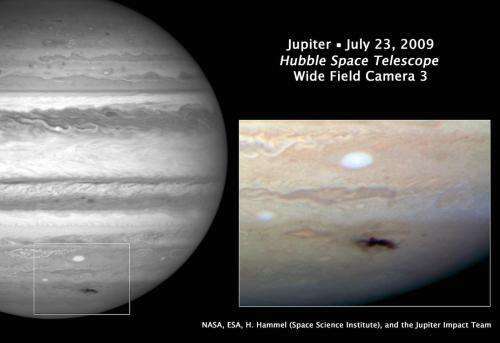 The Earth probably experiences more impacts than it would were Jupiter not present. More remarkably, the situation would be far worse were Jupiter was smaller than its current mass. In detailed simulations carried out a few years ago, we found that dropping Jupiter's mass to one fifth its current value would lead to a dramatic increase in the rate at which both comets and asteroids plough into the Earth. While the simulations we carried out to study Jupiter's role were hugely time consuming, by the time we are finding potential exo-Earths, computers will have increased in power and speed sufficiently that similar simulations should prove relatively straight forward. And we will have a simple test to help us differentiate between the best, and the rest. From the point of view of impacts alone, we need to tread a careful middle ground. Too few impacts early on, and any Earth-like planets may be too dry for life to take hold and thrive. Too many impacts, and life will be extinguished, and never become observable. So perhaps our ideal system would be something like our own – neither too many nor too few impacts – but a rate that is just right, delivering much needed volatiles, but allowing time for life to spread and prosper between occasional resets (such as that, 65 million years ago, which paved the way for mammalian life to take over from our former reptilian overlords). But the other planets in the solar system don't just affect the impact rate experienced by the Earth – they also play a more subtle ongoing role, sculpting the climate of the planet on which we live. The climate of an exo-Earth will clearly play a role in determining its suitability as a host for life. Part of this is already taken into account in the discussion of the "habitable zone" – a planet too hot, or too cold, would automatically be excluded. But there are more subtle effects that might combine to render one planet more or less suitable as a planet host. For the past few million years, Earth's climate has oscillated from ice age to interglacial period and back again. Our current climate sits at the cusp of glaciation, and very small variations in the amount of radiation Earth's poles receive from the sun over the course of a year can have a surprisingly large climatic effect. As the Earth moves around the sun, its orbit is continually tweaked by the gravitational influence of the other planets. As a result, the eccentricity and inclination of our orbit change with time. Sometimes the orbit is more circular, sometimes a bit more egg-shaped. Sometimes it is more tilted, sometimes less. Beyond these changes to our orbit, the Earth's spin axis and orbit both precess over time – just like a wobbling spinning top. Taken together, these variations are known as the Milankovitch cycles. In combination, they result in small changes in the total amount of energy received from the sun at the Earth's poles, and are thought to drive the current gacial-interglacial cycles. For other planets, orbiting other stars, the Milankovitch cycles would be different. The variations experienced on Earth are the result of the influence of all the other objects in our solar system – all pulling and nudging our planet. If the architecture of the solar system was different, so too would be these oscillations. Depending on the precise architecture of a planetary system, the oscillations that drive periodic climate change would change. They might have a greater or lesser amplitude and may happen faster or more slowly. The climate of the planet in question would respond in kind. We are currently in the process of modelling this behaviour – studying how Earth's climate would change were the giant planet Jupiter moving on an orbit different to that it currently occupies. The results will be a first step to building a robust procedure by which the climate of potentially habitable words be judged – one more ingredient in the recipe of the perfect world for life. Out of many extinction events, only one has been bound to affect life. There were many larger ones when complex life was around, and they don't seem to have done much of anything. The reason may be that the Chixculub impact was a one off, hitting calciferous and sulfuric sediments that appear late on an inhabited planet with complex life. Re climate: the PETM maximum, just yesterday claimed to be as rapid as current AGW from new data, saw little extinction (and only initially, I think). "From the point of view of impacts alone, we need to tread a careful middle ground. Too few impacts early on, and any Earth-like planets may be too dry for life to take hold and thrive." Speaking of myths, recent simulations implies a large impact flow rate would erode the atmosphere rather than contribute volatiles due to the effect of the many smaller impactors. The simplest prediction of the disk D/H ratio is that the water was present already in the molecular cloud and the disk created little water due to absence of ionization. In which case you can get a habitable planet despite impactors by having a denser original atmosphere (like Venus).